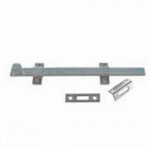 UL831 Cal-Royal Surface Bolt 8" Heavy DutyThis heavy duty surface bolt has precision guides and allo..
ESBUL12 Cal-Royal Surface Bolt 12" Heavy Duty UL Listed Comparable to Ives #453 ESBUL12 Has ..
UL831 Cal-Royal Surface Bolt 12" Heavy DutyThis heavy duty surface bolt has precision guides and all..
MF6341 Cal-Royal Lever Extension Flush Bolt, Brass, UL, 6 3/4" X 1"
ULFB634 Cal-Royal Lever Extension Manual Flush Bolt, Solid Brass, UL, 6 3/4" X 1"New Part Number - M..
AUTOFLM1 Cal-Royal Automatic Flush Bolt for Metal DoorsSold in pairs only (Quantity 2 per box) In..
AUTOFLW22 Cal-Royal Automatice Flush Bolt for Wood Doors Includes Automatic (Top) & Self Latch.. 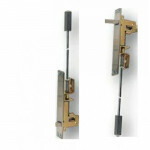 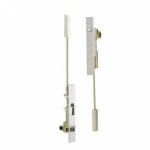 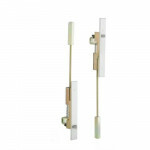 The Trimco 3815Lx3815L (Pair) UL Automatic Flushbolts – Wood Doors - To be used in pairs on the inac.. 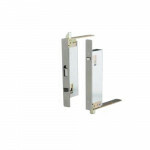 The Trimco 3917-12 UL Manual Flushbolt – Metal Doors is UL Listed with a 12” rod. 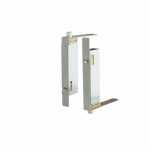 1-1/2" Bolthea.. 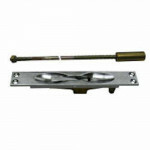 The Ives SB1630-T 8” Steel Top Bolt is a standard Surface Bolt that has 1" throw for maximum securit.. 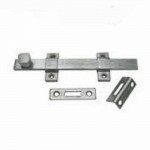 The Ives SB1630-B 8” Steel Bottom Bolt is a standard Surface Bolt that has 1" throw for maximum secu..
FB358 Ives Manual Flush Bolt (UL) Single - Wood Door, 1" x 6-3/4" Top or Bottom Bolts is used ..
FB51P Ives Constant Latching Flush Bolt (UL) Pair for Metal Doors Constant Latching Flush Bolt (.. 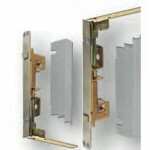 The Ives SB453-12” Surface Bolt (UL) w/top & bottom strikes has 1-3/16" throw for maximum securi.. 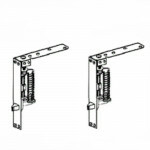 The Ives SB453-8” Surface Bolt (UL) w/top & bottom strikes has 1-3/16" throw for maximum securit..
Ives FB41P Automatic Flush Bolt (UL) Top and Bottom Bolts (Pair). 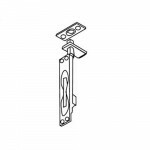 Pair are Fully Automatic—ina..
FB61P Ives Constant Latching Flush Bolt (UL) Pair for Wood Doors 1" x 8-1/2" Constant Latching F.. 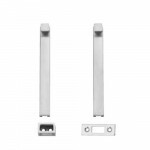 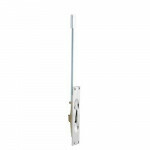 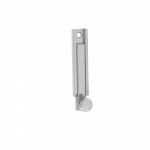 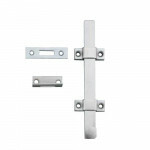 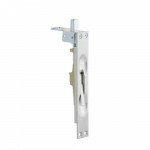 The Ives FB457 Manual Flush Bolt 12” (UL) Single Top or Bottom Bolts is used when the active door is..